Summer is in full swing now, and so is your air-conditioning, in all its expensive glory. You can’t do without it, really, so you’ll just have to make it work smarter if you want to avoid a chillingly (sorry, not sorry) high bill. Each degree under 25C means an extra 4% of energy consumption. If you can tolerate 25C or 26C indoors, then go for it. The idea of running two electrical appliances at once might seem silly, but ceiling fans are much cheaper than aircon and will help you to feel cooler once you’ve raised your thermostat a few degrees. Fans work by snatching the hot air away from your body, providing the cooling effect we’re so used to. Combined with some air-conditioning, you’ll feel comfortably cool. If the filter is clogged up, your aircon unit has to work extra hard but to less effect. This is a real waste of money, so a weekly clean will keep things running nicely. If you have a central aircon unit then you’ll have to close the vents to the unoccupied rooms, but if you have individual units, turn off the ones that you don’t need at the moment. 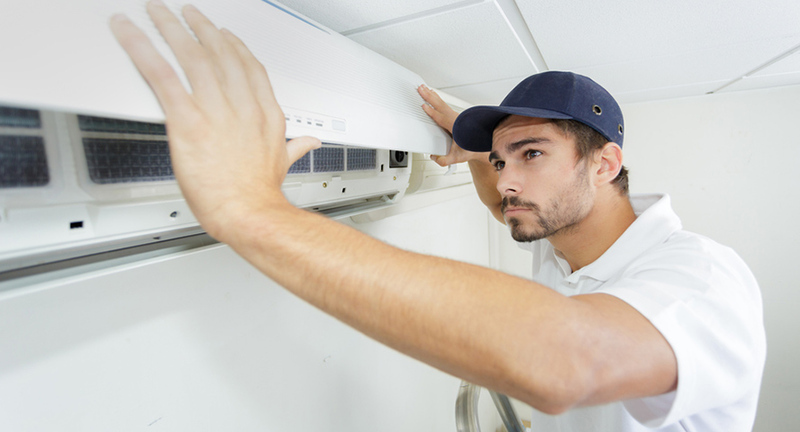 A massive unit will work a few minutes faster, it’s true, but they continue to work at a higher cost than you need once you’ve reached your ideal temperature. Conversely, an undersized system will constantly be working to maintain its target temp. If you have the right size, however, it’ll power down a bit once it’s hit the mark. If you stop your interior getting hot in the first place, your aircon doesn’t have to take down so much heat. Put up light-coloured blinds or curtains and keep them closed during the main heat of the day. You could also fix shutters to the outside of the windows so you can keep your windows open but keep the sun’s rays out. This is directly contradicting the previous tip, but if you are using aircon in one area of the house, then make sure your cool air can’t escape so easily. It’s the same principle as keeping warm air in during the winter. If you still have halogen bulbs, then try not to use them so much or swap them out for LEDs. Bulbs generate a lot of heat, so turning them off will prevent this. Alternatively, use LEDs, which use a fraction of the power and generate almost no heat. Using the hob or oven pumps out heat, so try to eat more salads.